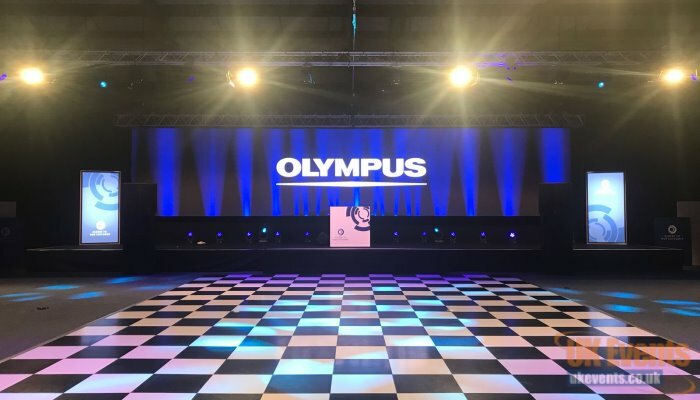 UK Events Ltd is one of the largest dance floor distributers in the United Kingdom. 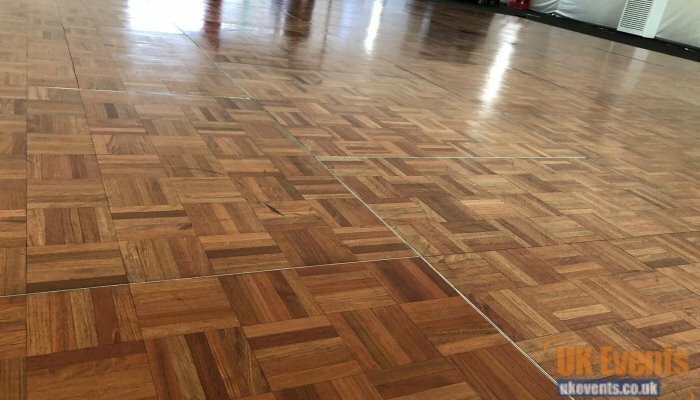 All our dance floors come with a manufacturer's warranty for peace of mind. We offer full support over the phone and welcome clients to come to our warehouse for a comprehensive demonstration. Most of our floors are manufactured in the UK to a very high standard and comply to UK regulations. 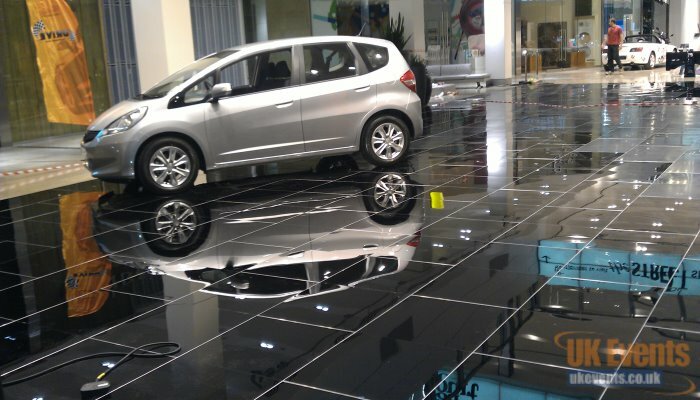 Our all new circular dance floor is Manufactured in China due to its complexity. 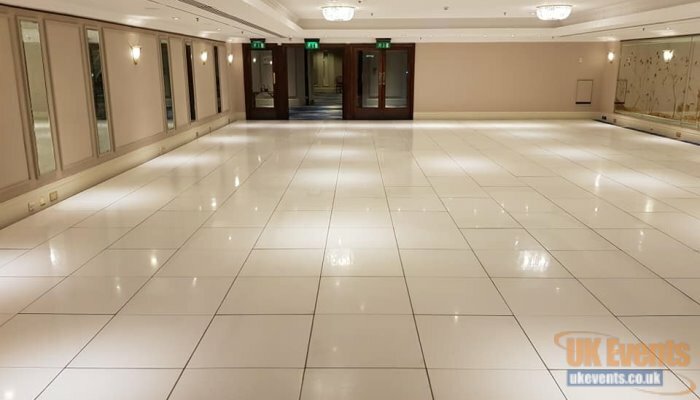 As we hire these floors out on a daily basis from our hire division, we know that all of the products we sell are of the highest quality and built to last. 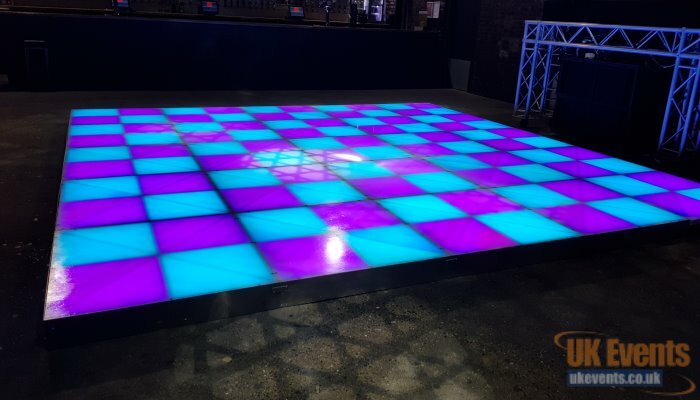 Purchase one of our most popular dance floors. 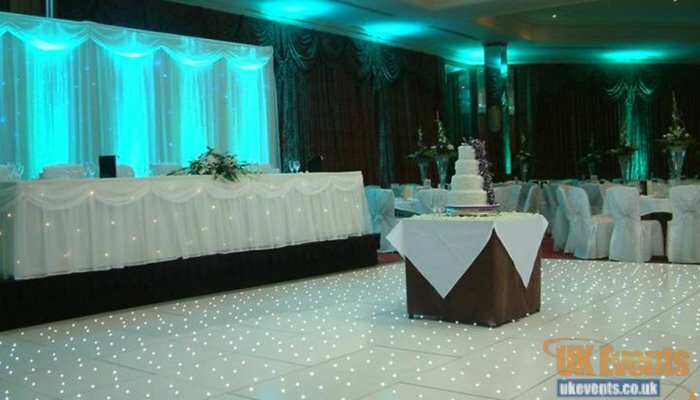 The white led sparkly floor can be ordered in any size required and come complete with cables, controller and edging. Purchase one of popular LED dance floors. 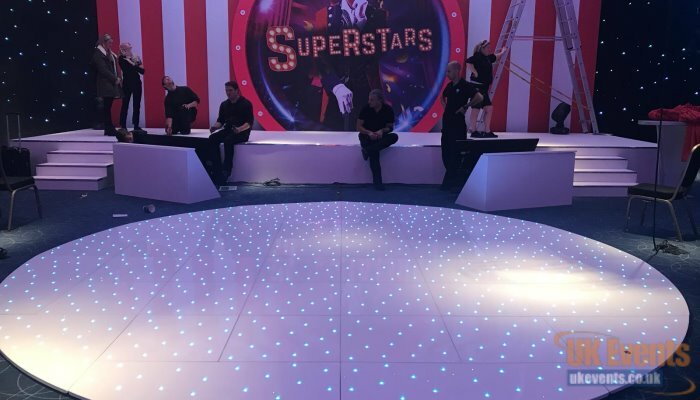 The black led sparkly floor can be ordered in any size required and come complete with cables, controller and edging. Fancy something different? 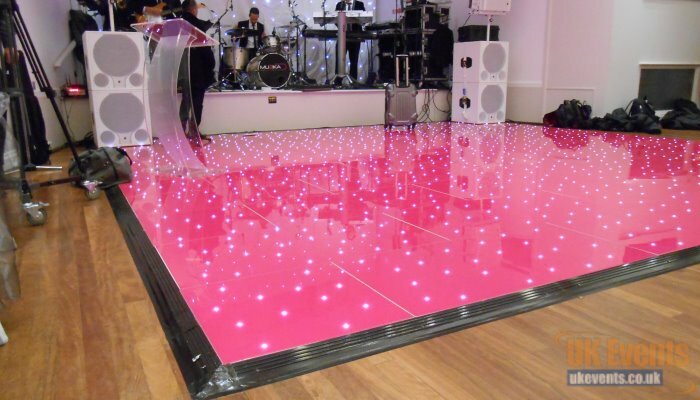 Choose a colour and we will design a plain or starlit dance floor to match your preferred colour. A real oak dance floor available in a couple of different shades ideal for hotels and marquees. 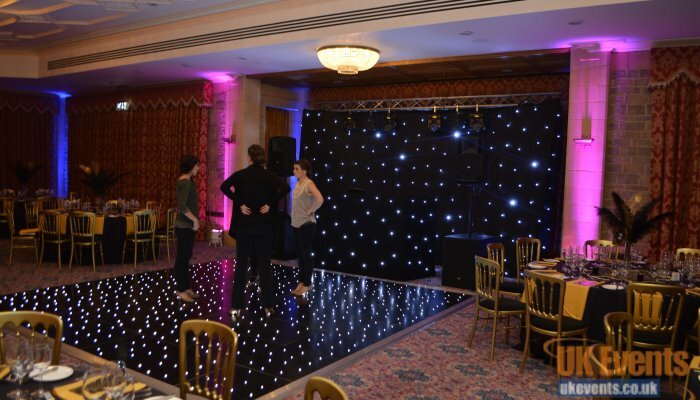 Purchase a stunning black and white chequered dance floor which comes complete with aluminium trim. Trolley also available to transport and storage. Purchase a circular LED dance floor in white, black or gold finishes. The LED lights are RGB and can be controlled by a basic handheld controller. Plain and simple we offer a pure black dance floor complete with trim available to buy with storage trolleys. A simple plain white floor complete with trim available to buy with storage trolleys. 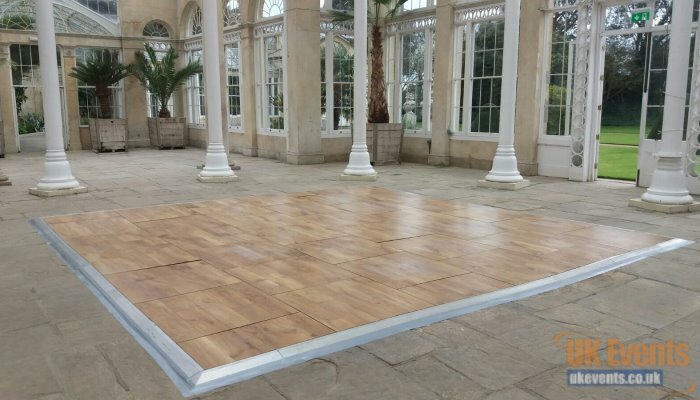 Our wood effect outdoor dance floors are prefect for outdoor use. The floor is made from acrylic and is completely weatherproof.